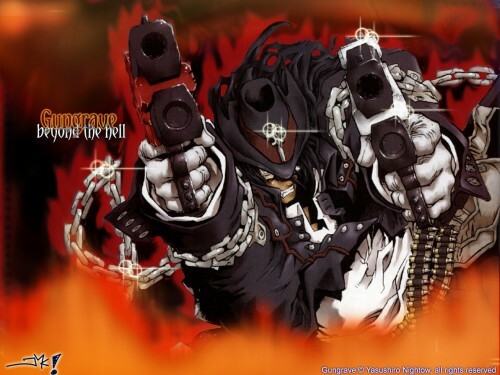 Browse Gungrave Gallery: Recent | Popular. wow .. nice job on right and left head ,, like the ammo belts to .. nice addition .. can you draw center head as well as those ones? I just made a gun grave wall..... mines a very soft one, i do like this image though.. i think the bg could use alittle work.. but it still looks good... keep up the good work..
Nice.I like the way the colors swirl in the background.Job well done. Awesome. I love it, keep up the good work. Yes! This is the kind of wallpaper I am expecting for a great series such as Gungrave. Keep it up!